I was 4-years old and I was furious! I don’t remember why, but I was angry with the Aunt that raised me and I decided to run away. I burst out the screen door of the sharecropper house we were living in. Down the wood stairs and into the yard. 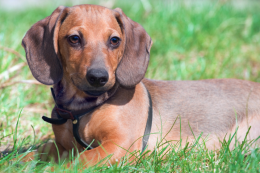 My only friend in the world was waiting for me – Poopsie our dachshund – my only source of unconditional love. 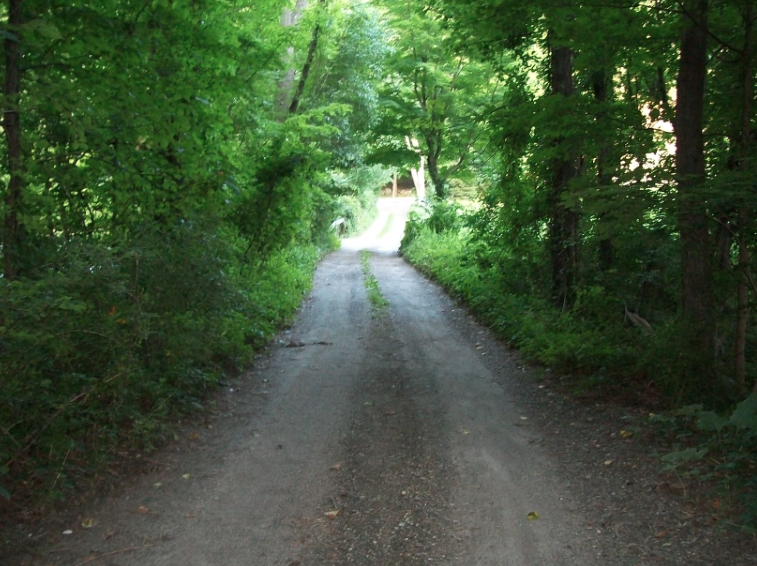 Down the hill I went, onto the dirt country road, Poopsie close behind. As I stomped down the road Poopsie kept looking at me as if to say: “I thought we were not supposed to leave the yard”, but she loyally stayed with me. About half a mile down the road my anger started to subside, but I was still committed to my mission. I remember thinking: “I do not have any food for this journey; I had better stop at cousin Richard’s & cousin Muncie’s house. As I turned to go down their long driveway, both of their collie dogs came racing towards us, barking loudly. I realized that I had better do something or they might attack Poopsie, so I waved my arms, angrily shouted at the top of my lungs: “Be quiet, back off!” and looked as mean as a 4-year old could. Luckily they recognized me and started wagging their tails – disaster averted. Cousin Richard came out the front door to see what all the commotion was about. He was stunned to see me all alone with Poopsie. He sat me down and told his wife what was going on. She closed the door and I could hear her on the phone calling my Aunt. By this time I had calmed down and it occurred to me that I had no clue as to my destination. Maybe I should go back until I have a better plan. When my Aunt arrived she was furious! She had realized that I was gone and could not find me. Her daughter was just a few months old and her husband was out working his father’s farm. She was panicked. Years later my Aunt shared with me that her daughter told her that she was going to run away from home. This time my Aunt was prepared. It is not just children who are learning as they grow up – parents learn also.